Built-in Everything? Power, Router, Endless media streaming... What else? 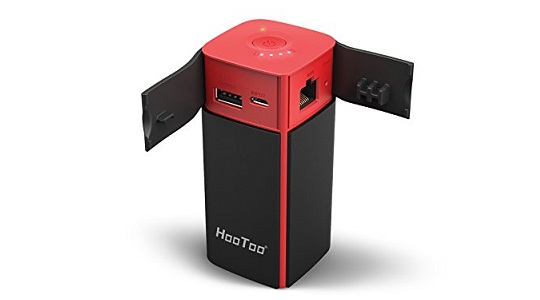 The HT-TM05 TripMate is a Versatile Wireless Travel Router and a powerful tool in our travel bag to keep you connected during travel. This little gadget doubles as a wi-fi router and a mobile charger that also work as a flash drive to back up data from your devices. TripMate Plus app. (It does not support Xfinity Hot Spot). You can instantly convert a wired network to wireless to create your own secure wi-fi network. Not just this much, this multipurpose device can backup your photos and videos easily. Its new technology also enables you to plug multiple USB hard drives or flash drives with a USB hub to the TripMate Titan.